aspects of the health history of John F.
ascorbic acid, 500 mg twice daily- Why? prednisone, 2.5 mg twice daily Why both? the cortex and the medulla. 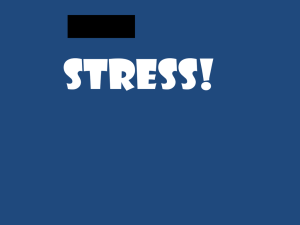 Is the Cortisol Level Low? ug/dl or > 12 ug/dl respectively. 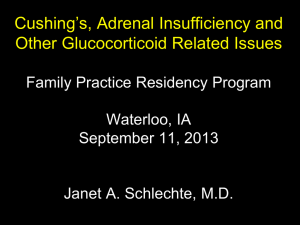 adrenal insufficiency or history consistent with it. Subclinical Hypothyroidism, Whose Time Has Come. insulin hypoglycemia test J.Clin. 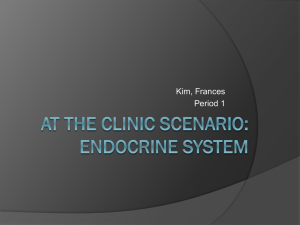 J.Clin Endocrinol Met. would be classified as being adrenally-insufficient. – May need coverage during surgery or major illness. know the cutoff for this test. * Loraiux and Fleseiru Cur. Opin. 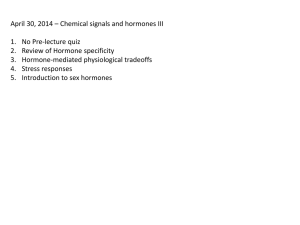 Endocrinol. Diabetes Obe 16:392-400, 2009. • Cut-offs are not known. • Patients and docs do not like it. and GH)-hard to get out of hypoglycemia. • Not great at separating low normal from low. • Might give you a hint. • Its probably a false-positive test, unless its in the right context. • Think twice before going on glucocorticoids. up sheep adrenals) or hydrocortisone. dexamethasone suppression test in the 2 groups. shown to be adrenally insufficient. need to have glucocorticoid replacement prior to thyroid replacement. and will lead to an adrenal crisis. • 9.9 +/- 2.7 mg/day, 5.7 mg/m2 day. 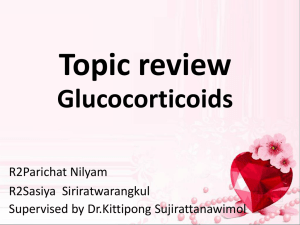 • Most glucocorticoid replacement is supraphysiological. Weight gain, central obesity, etc. Earliest manifestation of inadequate treatment is joint pain. between 15 and 20 mg/day in a women and slightly higher in a man. both a rapid release dose and an extended release dose. 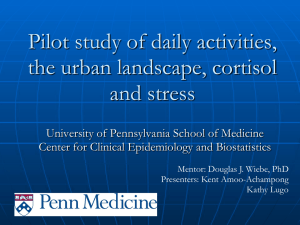 the 24 hour circadian pattern of cortisol. • Probably best use will be in congenital adrenal hyperplasia. of cortisol to cortisone, which goes back to cortisol in the tissues. GH will decrease cortisol levels. 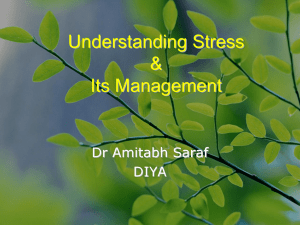 with thyroid hormone will decrease cortisol levels. and not treated with GH. • García-Borreguero D. et al. 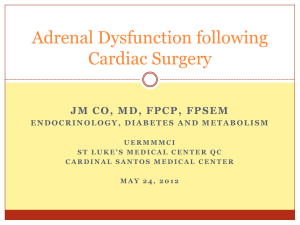 (J Clin Endocrinol Metab. 2000 85:4201-6). of John F. Kennedy. Ann Intern Med. 2009 Sep 1;151(5):350-4.
insufficiency. 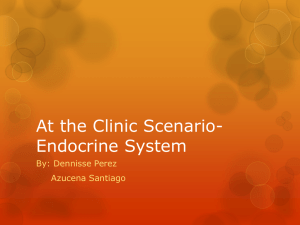 J Clin Endocrinol Metab. 2009 Apr;94(4):1059-67. Endocrinol Diabetes Obes. 2009 Oct;16(5):392-400. • Mommersteeg PM, Heijnen CJ, Verbraak MJ, van Doornen LJ. patients. N Engl J Med. 2003 Feb 20;348(8):727-34. Thanks to Dianne and all the MAGIC foundation workers!